Aboriginal English and Standard Australian English can be quite different. In 1788, at the beginning of permanent white settlement in Australia, there were at least 200 mutually unintelligible indigenous Australian languages. Today over half of these are no longer spoken. Less than 20 Australian languages can be considered 'living' languages. These are languages that are used in everyday situations as the first language of a community of speakers and passed on to the next generation. Fewer than 10 indigenous Australian languages have more than 1000 speakers. 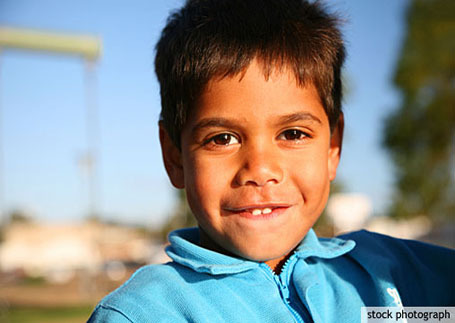 Many members of the Aboriginal population use some form of Australian Aboriginal English, which is the first and often the only language of most Aboriginal children. Aboriginal English is a contact variety encompassing regional varieties spoken across Australia. It forms a continuum from a variety that is close to Standard Australian English (referred to as the acrolectal variety) at one end, through to a creole-like form at the other (referred to as the basilectal variety). Aboriginal English and Standard Australian English are very different in the way that meaning in expressed in various social contexts and this may have serious implications, particularly in education and in the courts. Some form of Australian Aboriginal English is the first, and often the only language of most Aboriginal children. 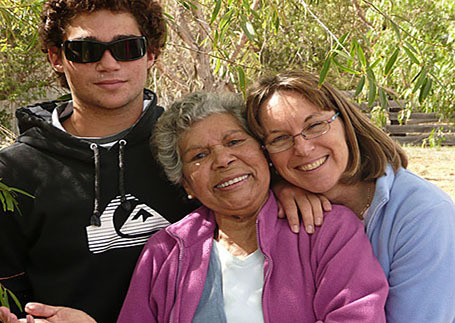 Aboriginal English in the Courts This website contains a link to a very informative handbook developed to help courts deal more effectively with Aboriginal English. Awaye! on Radio National Listen to and download audio. Indigenous Learners and Language: What languages do indigenous learners speak? Butcher, A. R., & Anderson, V. B. (2008). The vowels of Australian Aboriginal English. Proceedings of the 9th Annual Conference of the International Speech Communication Association, 22-26 September 2008, (pp. 347-350). Brisbane, Australia. Butcher, A. R. (2008). Linguistic aspects of Australian Aboriginal English. Clinical Linguistics and Phonetics, 22, 625-642. Malcolm, I. G. (2004). Australian creoles and Aboriginal English: Phonetics and phonology. In E. W. Schneider, K. Burridge, B. Kortmann, R. Mesthrie, & C. Upton (Eds. ), A handbook of varieties of English: A multimedia reference tool: Vol. 1 (pp. 656-670). Berlin: Mouton de Gruyter. Malcolm, I. G. (2004). Australian creoles and Aboriginal English: Morphology and syntax. In E. W. Schneider, K. Burridge, B. Kortmann, R. Mesthrie, & C. Upton (Eds. ), A handbook of varieties of English: A multimedia reference tool: Vol. 2 (pp. 657-681). Berlin: Mouton de Gruyter.